It’s a long-standing tradition at Auto/Mate. 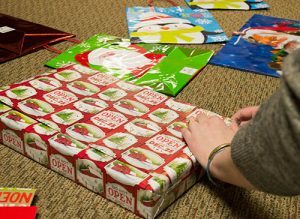 Every year, employees hold several fundraisers and donate the proceeds to a fund that allows them to purchase holiday gifts for local families and seniors in need. “We’ve been doing this as long as I’ve been here, over 18 years,” said Kelly Shaw, payroll benefits manager. 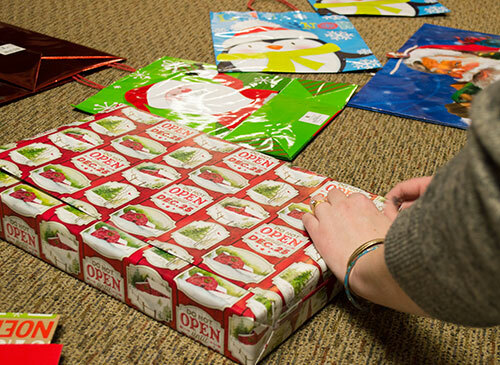 This year, Auto/Mate has adopted four families and two seniors. Recipients were identified through the Rensselaer County Department of Social Services, a local preschool day care facility and the Epilepsy Foundation. The organizations send Auto/Mate a “wish list” of items from the families. Auto/Mate employees go all out to make sure those wish lists are fulfilled. Fundraisers and benefits are held throughout the year, including barbecues and bake sales. “This year we hosted a wine exchange and our employees paid $5 to participate. We also collect soda cans,” Shaw said. In addition to gifts, each family will receive a $150 gift certificate to Price Chopper, a local grocery store. Auto/Mate employees came up with the idea so that all of their adopt-a-families can have a nice holiday meal and buy some treats they might not otherwise be able to afford. Happy Holidays to all of our employees, adopt-a-families, customers, partners and friends!